Roses are appropriate to send upon a death. 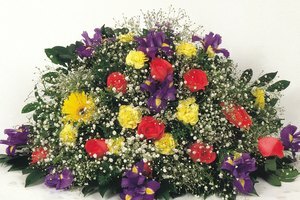 When a person passes away, an appropriate way to express sympathy is to send flowers. They can be sent to the family home or the funeral service. There are sprays that cover the casket, funeral wreaths to be placed on an easel and custom flower bouquets or arrangements in vases. 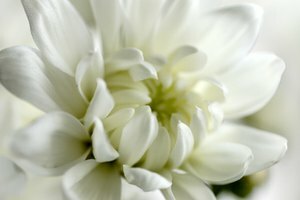 Check with the funeral home to make sure the deceased’s ethnicity or religion does not prohibit flowers or certain colors. In all most all cultures, flowers provide comfort upon a death. Floriography, or the language of flowers, existed in ancient Greek, Roman, Egyptian and Chinese cultures. In Victorian England, books were devoted to the meaning of flowers. Present day cultures have derived definitions from these viewpoints. White lilies are associated with funeral services. They represent innocence that has been imparted to the person who has passed away. A white stargazer lily embodies sympathy and all kinds of white lilies represent dignity and purity. A bouquet of mixed-color carnations in red, white and pink are a proper commemoration of a person’s passing. A single-color bouquet is appropriate as well. Red carnations symbolize admiration; pink represents remembrance and white stands for love, innocence and purity. In Europe, mums stand for grief. These flowers symbolize different ideas in different countries. In the United States they stand for truth and innocence. In European countries mums represent death and grief–so these bouquets usually are present at a funeral service. White roses can be sent upon a death. Roses can be sent as a dozen or more in a bouquet or mixed with other flowers. Red roses symbolize respect, love and courage. White roses stand for humility and innocence. Pink roses represent love, grace and gentleness. 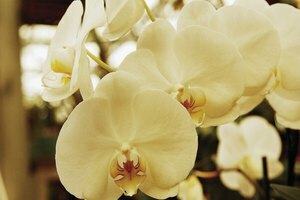 If the deceased had personal floral favorites, the home or funeral service is an appropriate place to display them. 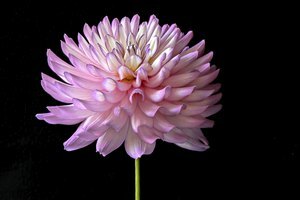 Orchids stand for maturity and charm, an aster is a symbol of love. Irises represent wisdom, faith and hope; sunflowers signify sunshine. Violets epitomize faithfulness and virtue, and magnolias characterize nobility. If you are sending the person’s favorite flower, enclose a card describing the meaning of the flower. The kalanchoe is an appropriate plant to send to a funeral. Some people prefer to give a live plant that will keep flowering and growing for years. Popular choices for live plants include the peace lily or calla lily plant. 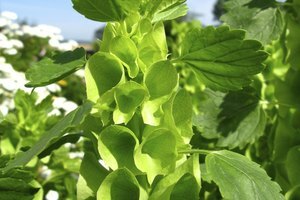 Both are easy to grow and have white flowers set against dark green leaves that send a statement of serenity. A blooming white kalanchoe with green ivy is another easy-to-care for sympathy plant. It has a long bloom life and can be replanted outdoors if the recipient chooses. A fragrant, blooming gardenia plant offers a statement of beauty and elegance and is an appropriate expression of sympathy. What Flowers Are Appropriate for Engagement Congratulations? Teubner, Nellene. "Flowers to Send for a Death." 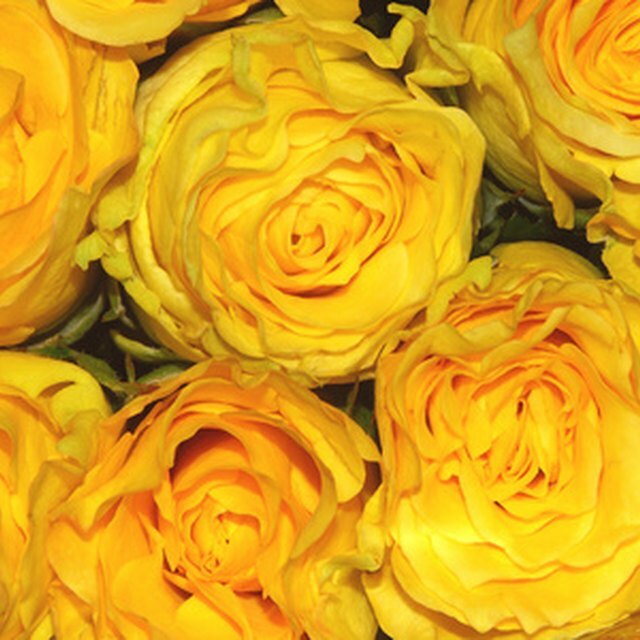 Synonym, https://classroom.synonym.com/flowers-to-send-for-a-death-12081008.html. 29 September 2017.